At Indiana Bible College, there are certain principles from scripture that are emphasized as we study the vast subject of worship. First, we want our students to understand that God yearns for spirit and truth worshipers (John 4:24). Worship is about God and His desire to enter into a worship relationship with His people. Second, the students will be instructed concerning the role and preparation of the worship leader. Holiness and preparation are the foundation for effective worship leading as is seen in 2 Chronicles 5. Third, Biblical worship must be defined. Our student worship leaders must know what they are leading. An effective philosophy or theology of worship must be built upon a foundation. As in the construction of a house, great care must be taken to make sure that its foundation is secure. In the day in which we live, there is a plethora of musical styles and many new voices trying to influence Christian worship. Through the din of the noise, let us never forget that true worship must have a sure foundation rooted in the Word of God. The Worship Studies curriculum at Indiana Bible College immerses students into the realm of worship ministry, helping students to define their musical skills, their integration of the Christian Bible and theology, their versatility in numerous musical styles, and a thorough understanding of how God’s Word is manifested through music. The Worship studies program is perfect students who wish to learn basic music worship skills, students who want to make music an added focus in their theological studies, or students who wish to fully delve into music ministry and potentially write and produce their own music. The Biblical Studies department and Theology program at Indiana Bible College is focused on the process of training Apostolic ministry with the necessary tools for effective ministry. Now is the time for us to answer the call, to be motivated, equipped and deployed into our world to show the power of Apostolic doctrine and truth to redeem this broken world we live in! In the Theology program at Indiana Bible College, you will be studying the distinctives of Apostolic doctrine including the Doctrine of Salvation, the Oneness of God, Christian Worldview, Holiness, the Doctrine of the Spirit and other basic essentials equipping you to handle objections to our biblical beliefs. Further, you will be exposed to other classes like Science and the Bible dealing with modern objections to the Bible and Christianity. Classes such as Systematic Theology 1 and 2 show the interconnectedness of all we say about God and His Word, while classes such as Contemporary Theology highlight where we are today in terms of the current wider theology of the world and how we got there. Classes such as Apologetics, Archeology and the Bible, Religion Analysis and more show the best ways to reach the world we live in today with the truth of God’s Word. When I study God’s Word and learn more about what worship really is, my perspective on everything we do in church or out of church is re-focused, and I’m able to see all of the meaning and importance in everything we do. Our entire life should be worship to God. 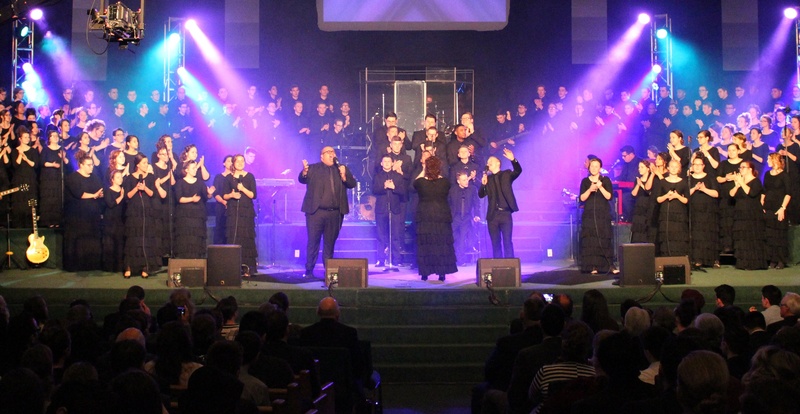 The Indiana Bible College Worship Studies degree is a unique program blending music and media with a heart for ministry integrating the essential skills to prepare biblically grounded worship experiences. This degree is based on a strong foundation that includes four areas of study.